Asshai character only. 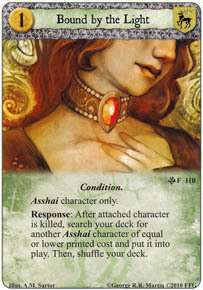 Response: After attached character is killed, search your deck for another Asshai character of equal or lower printed cost and put it into play. Then, shuffle your deck.